***Apply one coat over dried lacquer and watch the shatter effect appear before your eyes! ***Apply any Shatter Colour BEFORE you apply your top coat. It does not work if you paint over your top coat. 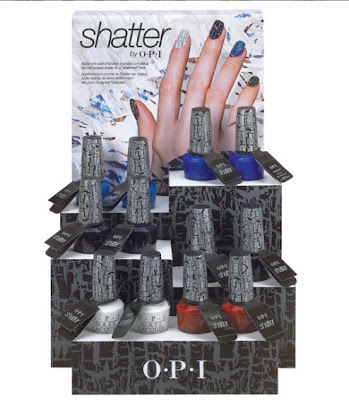 ***Every time you apply, the shatter will be different, which makes it so unique! The degree of shatter depends on a few factors. How dry is the base nail polish, how thick you apply etc etc. Try out a few times and you will get the hang of it. ***Go to youtube to check out videos on Shatter tutorial and ideas.. There are so many combination you can play with!